Michael Milton is perhaps Australia’s best known Paralympic athlete, and certainly one of the greatest skiers this country has ever produced. 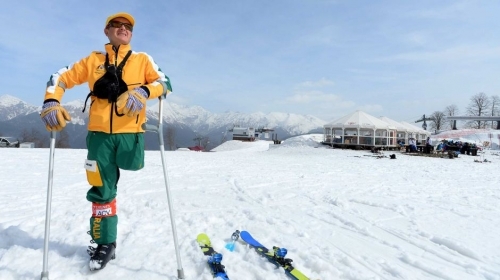 Early in 2006 Michael not only confirmed his place as the world’s fastest skier with a disability but also took the open Australian speed skiing record, clocking an amazing 213.65km/hr. But it was on the ski racing slopes that Michael learned his craft. He competed in his first international competition at just 14 and won Australia’s first ever winter gold medal (Paralympic or Olympic) at 19. 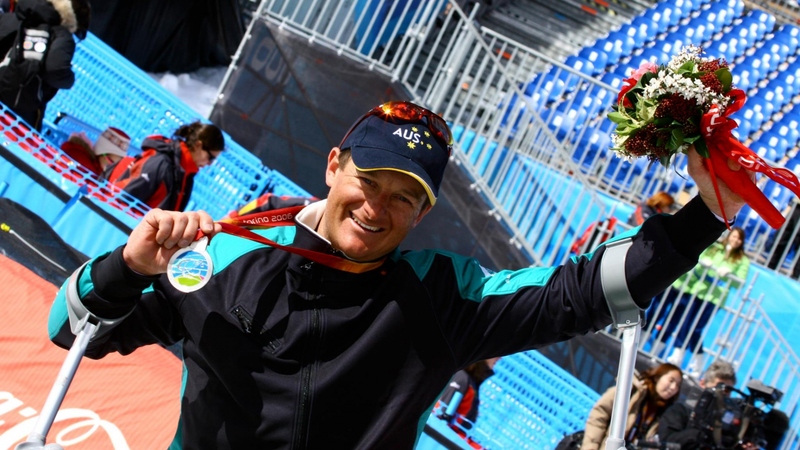 More medals followed at Paralympic Games and World Championships but what Michael wanted most of all was a clean sweep of the four alpine events. In 2002 he achieved his goal, winning gold medals in the Slalom, Giant Slalom, Downhill and Super-G at the Salt Lake Paralympic Games. Recognition of his achievement came when he was announced the Laureus World Sportsperson of the Year with a Disability. His silver medal in the downhill at his fifth and last Winter Paralympic Games in March 2006 in Torino bought his career medal tally to 22 – 11 Paralympic and 11 World Championship, including 12 gold medals. Although his ski racing career was over, Michael had no plans to retire. Arriving home from Torino, he took up cycling and, after just six months of tough training, he competed in the Australian Track Cycling Championships, winning a silver medal and a gold medal. In the 3000m pursuit he set a new Australian record. 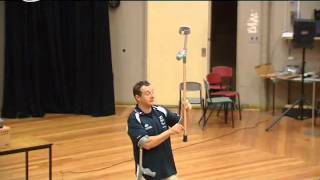 His results at the national titles won him selection in the Australian team to compete in the 2007 World Championships in August and the Beijing Paralympic Games was in his sights. But an unexplained illness forced him to pull out of the team. Soon after he was diagnosed with Oesophageal Cancer, almost 25 years to the day since he was told, as a nine-year-old, that he had bone cancer and would lose his leg, if not his life. Michael was 34 when he faced his second life-threatening battle with cancer. Once again, he resigned himself to the treatment – three months of radiotherapy and chemotherapy followed by major surgery to remove the tumor along with much of his stomach and his entire oesophagus. Just a month later Michael was back on his bike and in February 2008 he again competed in the Track Cycling Championships, winning both events. Michael Milton was back. After a series of cycling trials, hours and hours on the bike and ongoing struggles with his health, Michael received the call to tell him he would be going to Beijing as a cyclist. It was just eight months since the end of his cancer treatment. 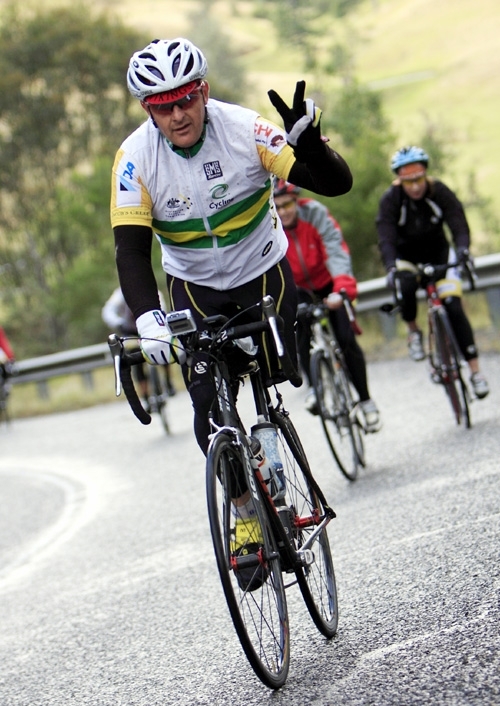 Beijing was Michael’s sixth Paralympic Games, his first as a cyclist and his first Summer Games. And now he’s off to yet another World Championship event – this time as a triathlete. Once again Michael Milton pulls on the green and gold. Off the track and the slopes, Michael loves any sort of adventure. He’s climbed Africa’s Mt Kilimanjaro and walked Kokoda twice, most recently adding two mountain biking legs and crossing the country from north to south. He’s also in the middle of one of life’s greatest adventures: fatherhood, with two small children. Michael is an inspiration to many people with disabilities and even more without. He is truly one of this nation’s most inspirational and successful athletes, and also just a little crazy.